Perhaps the family crossover or sedan was a little too cramped during this year’s round of holiday travel. Why not prepare for the 2019 holiday season in advance and purchase the ultimate road trip machine that will ensure everyone’s comfortable. This 1992 Buick Roadmaster features an extra set of doors to create four total rows of seating and extra cargo space on the roof. 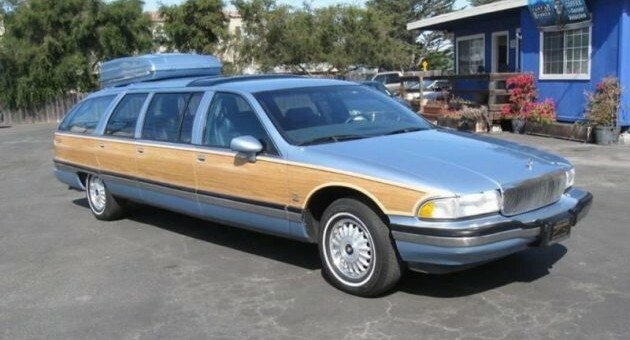 According to the sale listing on Style Auto, the 1992 Buick Roadmaster was commissioned for movie producer Ray Stark years ago, and he reportedly spent well over $100,000 to create the Roadmaster limo of sorts. Rear seat passengers are treated to a television set with a VHS, a fold-out desk for business, and even a foot raise for shorter passengers to sit more comfortably. Passengers are also treated to their own A/C vents for added comfort. Stark owned the Roadmaster until his death in 2004 when the company selling the vehicle purchased it. For the driver, Stark ensured it was top-of-the-line. 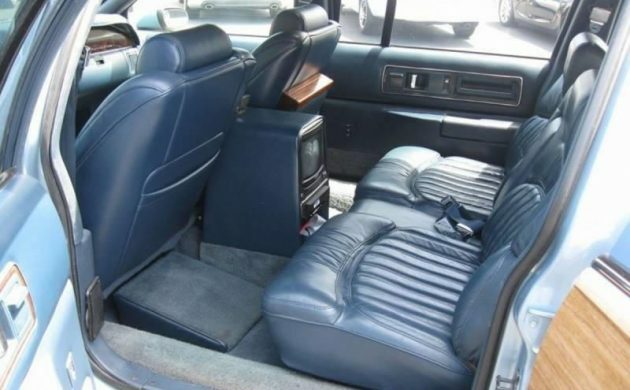 There’s a cassette player, ABS, cruise control, dual power seats, leather upholstery, and a moonroof. The rooftop storage also matches the car’s exterior color, a light blue against wood paneling. And after all of these years, it only has 66,000 miles on the odometer. The next owner will have plenty of miles to pound on the 5.7-liter V8 engine paired to a four-speed automatic transmission. At $25,000, it’s certainly affordable, too. 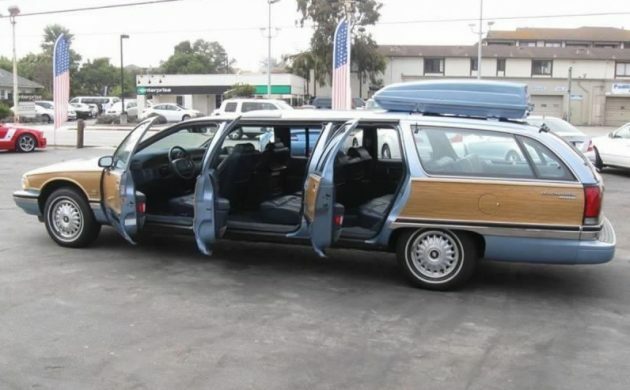 Sure, the same amount of money could net someone plenty of other cars, but none of them will be as roomy as the Roadmaster. I would like to see a discussion about how the headlight problem on Cadillac SRX vehicles can be corrected. My dealer doesn’t want to admit that there is a problem. Mine is so bad that I prefer to drive my pickup if I will be out after dark. It doesn’t seem to be as simple as changing the bulbs. Surely there is someone that has the knowledge to help correct the problem. A befuddeled SRX owner.